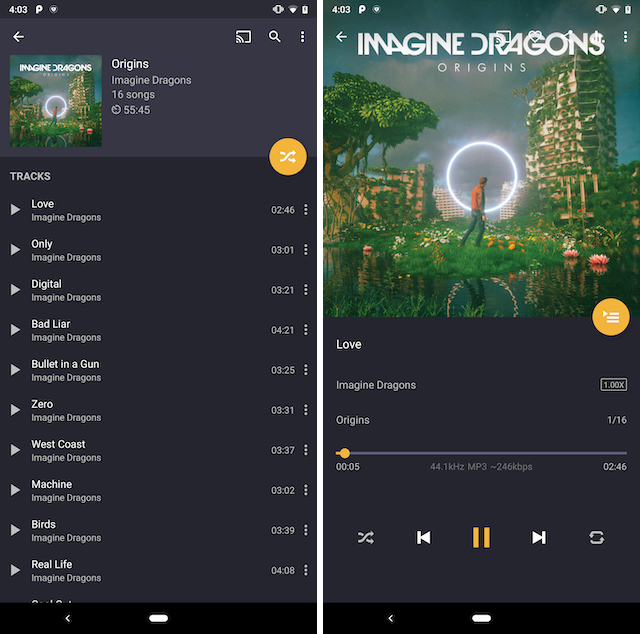 No offline music player list for Android can be complete without the PowerAmp Music Player as it is one of the best and most popular offline music players you can find on the Play Store. I am a fan of PowerAmp Music Player just for the plethora of features that it offers. Its exceptional audio enhancement features like, 10 bands optimized graphical equalizer, separate bass, and treble adjustment, stereo expansion, gapless playback, mono mixing, dynamic queue, and more allow me to set the music exactly to my liking. When you get past its features you will also appreciate its beautiful albeit a little bit complex UI. The app offers four customizable widgets along with a configurable lock screen widget. 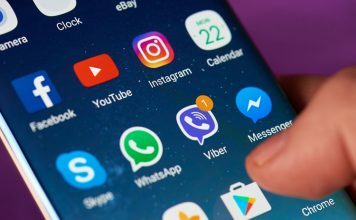 Overall, if you are ready to spend a little bit of time customizing this app, you can get a great deal more out of it than any other app on this list. The app comes with a 15-day free trial and costs ₹85 for the full version. 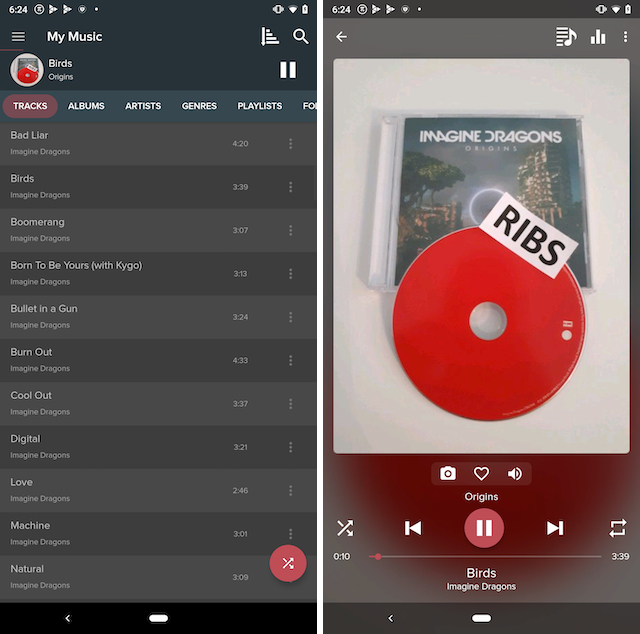 Pulsar Music Player has been a popular offline music player on Android for a long time thanks to its beautiful user interface which doesn’t feature any ads even though the app is completely free to use. 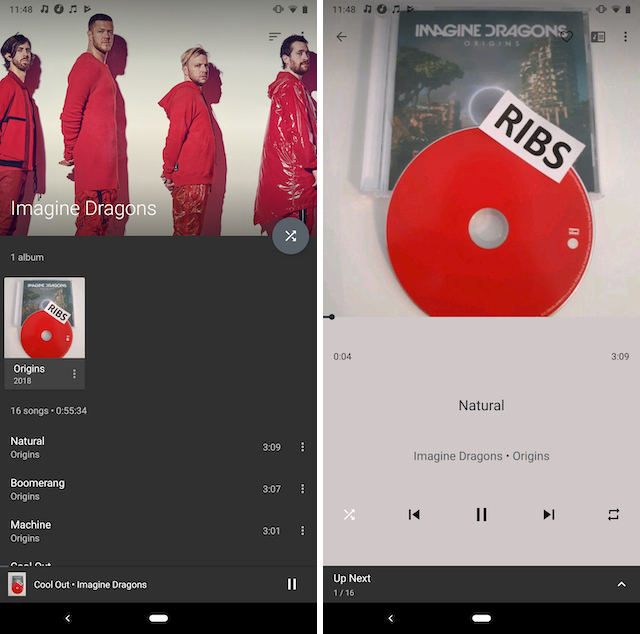 The app also brings a ton of features to the table including gapless playback, lyrics display, crossfade, play speed adjustment, tag editing, last.fm scrobbling, Chromecast support, voice command, Android Auto support, and more. I also love that Pulsar Music Player comes with a built-in sleep timer which allows you to set it to automatically stop playing music after a certain time. While this one is not as powerful as the PowerAmp music player, only the most pro users will find themselves wanting for features that are not here. Also, the user interface is very simple and approachable which makes this suitable for most Android users out there. Supported File Formats: mp3, aac, flac, ogg, wav, and more. 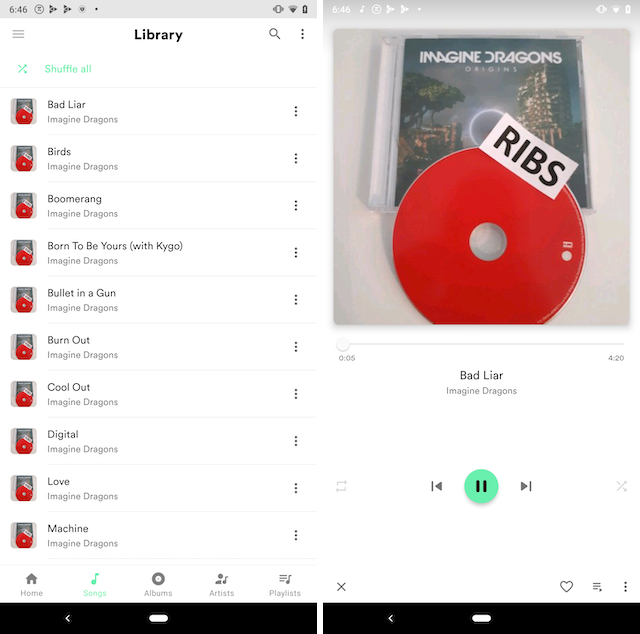 Musicolet Music Player is not something many of you may have heard of before, however, I can assure you that it’s one of the best music players for playing offline music that you can find on the Play Store. One of the best features of this app is that it doesn’t ask for internet permissions which is not something we have seen in many apps. With Musicolet, you can be sure that the app is not connecting to the internet in the background. That means no promotions and no ads, rather, a simple music player app which is good at what it is supposed to do. However, that also means that unlike other apps, it won’t be able to download the album artworks from the internet, so keep that in mind. When it comes to features, Musicolet doesn’t disappoint. The app is the only music player on this list which supports multiple queues. You can even create a separate queue while listening from another one. The app also features a powerful equalizer allowing you to adjust the settings to match your taste. You can also set up sleep timers based either on time or number of songs. 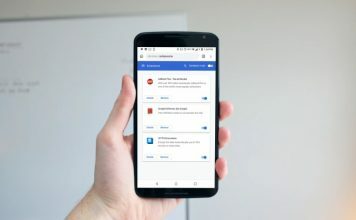 Overall, I quite like this app and while it’s not the most powerful app on this list, it offers a simplistic UI and is also more privacy-friendly. Another favorite music player of mine is the BlackPlayer Music Player. The app features a modern and minimalistic design which looks best on AMOLED displays thanks to the use of deep blacks all over the UI. The app brings a powerful 5 band equalizer with bass boost, 3D surround sound virtualizer and amplifier. 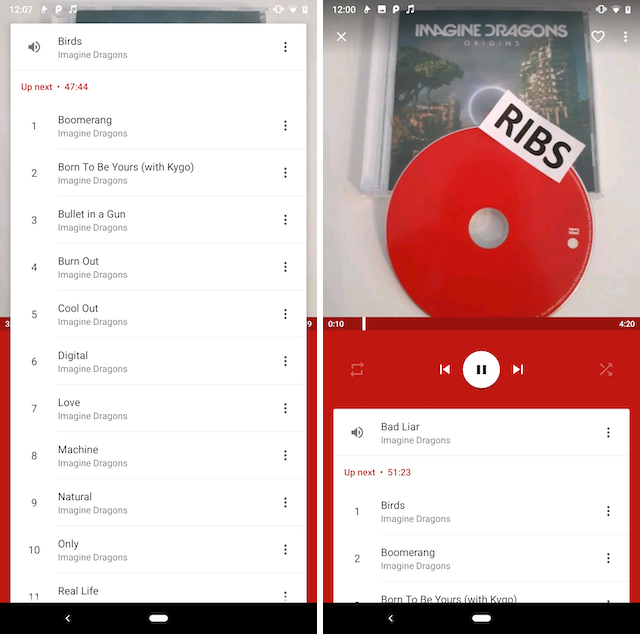 Other features of this app include gapless playback, album cover management, support for Android Auto and Wear OS, sleep timer, and more. The only drawback of this app is that it is supported by ads and while the ads are not too distracting, they are there. Other than that, I don’t have any problems with this app. Just like the PowerAmp music player, the GoneMad Player is also very popular and feature rich. The app features a powerful equalizer with 16 built-in presets which allows you to manage bass boost, balance, tempo, virtualizer, and limiter among other things. 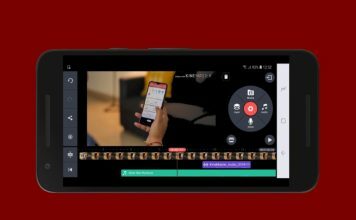 Other features of the app include gapless playback, sleep timer, crossfade, cue-sheet, tag editing, smart playlists, and more. I also love the app’s user interface. While it might look a little bland at the first look, the app support customization through themes (there are 1000+ to choose from) which allow you to make it look exactly how you want it to. I also love that the app is pretty fast and doesn’t hiccup anywhere. No matter how big your music library is, GoneMad can handle it easily. If you are looking for a powerful music player app this is definitely the one you should look at. Canaree is one of the most unique offline music players on this list and I have fallen in love with it over the past few days. First of all, the app offers a beautiful user interface which seems to be inspired by both iOS and Android’s Material Design Language. 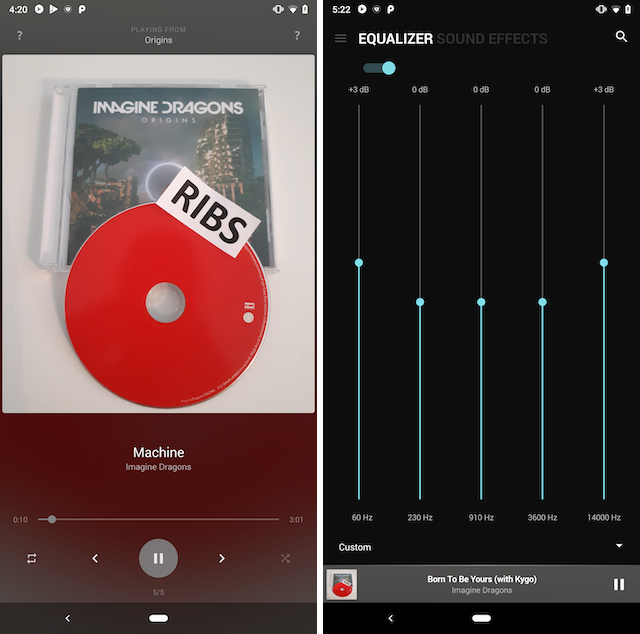 When it comes to features, the app brings 5-band equalizer, cross-fade and gapless playback, support for colorful widgets and dark mode, support for Android Auto and Wear OS, and more. While all these features are good, the USP of Canaree is its ability to show you lyrics and song videos in a floating video. Whenever you are playing any song on Canaree, you can hit the floating bubble (looks like the Twitter icon) and it will automatically search for the song’s lyrics and YouTube video. It’s a great way to get more information on the song that you are listening to. If that’s something you like, do try it out. One of my favorite music apps for offline listening on this list is the Stellio Player which I discovered while researching for this topic. I just love its now playing interface which is by far my favorite on this list. I mean look at the picture below. It just looks so clean despite providing you with all the controls that you need to access. I also love that the app allows you to access the equalizer directly from the now-playing screen with just one tap. Talking about the equalizer, it might be the most powerful equalizer of all the offline music apps on this list. Not only you can adjust different bands but you can also apply different effects including bass, echo, treble, reverb, and more. If you don’t want to dabble into this you can select from a list of carefully managed presets. I really love this app and highly suggest that you try it out. Supported File Formats: flac, mp3, cue, ape, m4a, and more. 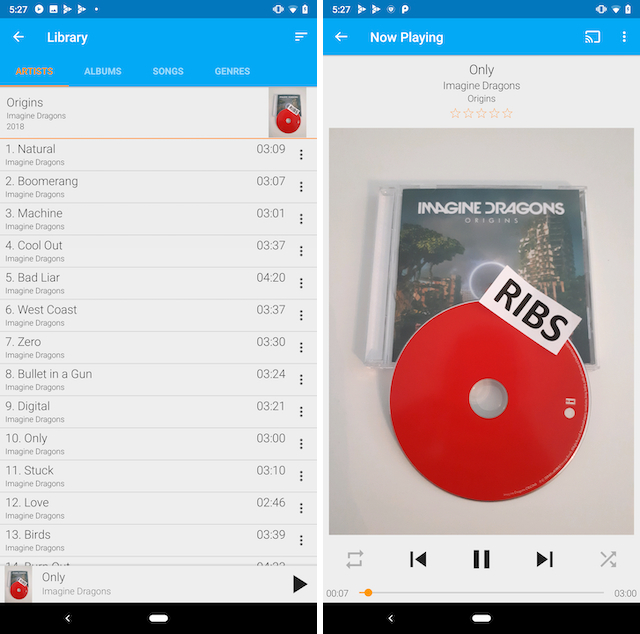 Pi Music Player is a very popular music app for Android which is great for people who want a simple and easy to use music app. The app supports Google’s Material Design language and fits right in with Android’s UI. When it comes to features, the app offers built-in 5-band equalizer with bass boost, 3D reverb effects, virtualizer along with 10 presets. Apart from the music files, the app also supports podcasts and audiobooks which is great for people who enjoy stories along with their music. Pi Music Player also offers a ton of additional features which users will find useful. For example, there’s a built-in ringtone cutter along with a secure cross-platform music sharing feature powered by Send Anywhere. While these features are not essential for a music app, they are great to have. Pi Music Player is one of the highest rated music apps on Play Store and that’s for a reason. If you want a quality music app that can play your local audio files, you should definitely give this one a try. 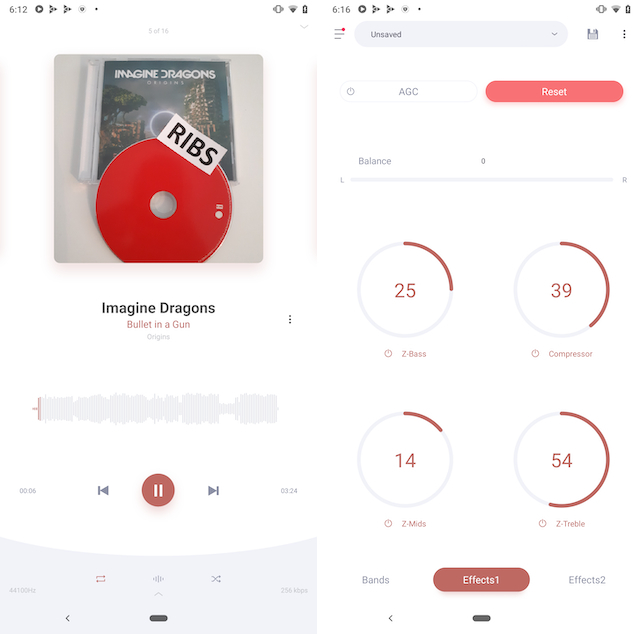 Retro Music Player is a good looking music app that works without an internet connection and brings a design language which is an amalgamation of Google’s Material Design and Apple’s iOS design. The app basically keeps the interactive elements of Material Design while the look and feel are inspired by iOS. This combination is quite good and makes using this app a joy. Users can also choose between white, dark, and black themes, the last being perfect for phones with AMOLED displays. When it comes to features the Retro Music Player brings a good assortment. 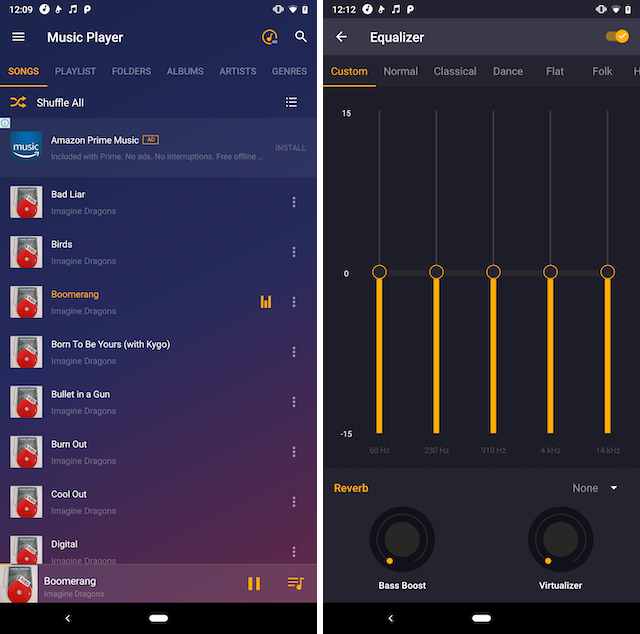 The main features of this app include gapless playback, carousel effect for the album cover, sleep timer, equalizer, and a built-in synchronized lyrics finder among other things. I will be the first one to say that this app is not as powerful as the likes of PowerAmp or GoneMad, however, it gets the job done and looks good while doing it. Supported File Formats: wav, ogg, mp3, mp4, and m4a. 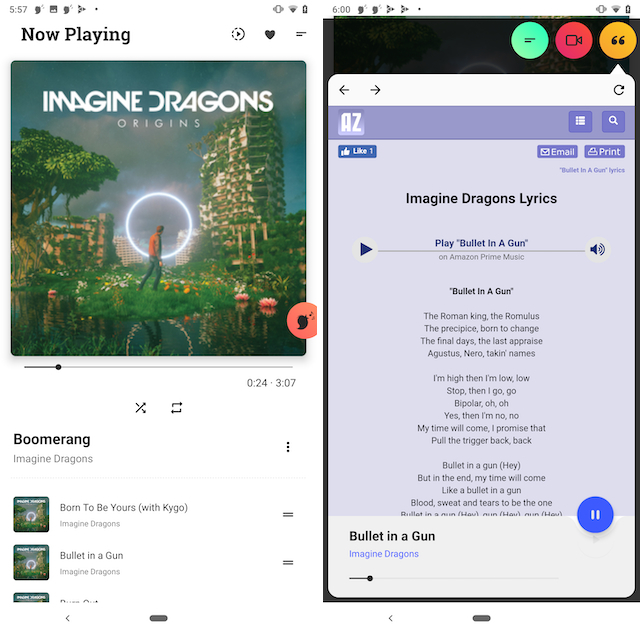 If you are looking for an open-source, fast, and easy to use music player, look no further than the Shuttle Music Player. The app sports a modern and minimalistic Material Design look which is both easy to navigate and beautiful to look at. The app also brings a 6-band equalizer with an extra bass boost. Other features include gapless playback, support for embedded lyrics, automatic artwork downloading, theming options, sleep timer, customizable widgets, and more. I love the Shuttle Music Player for its no-frills user interface and suggest it to anyone who is looking for a lightweight and feature-rich music player. Phonograph is one of the few apps which totally adheres to the Google’s Material Design and hence it looks really beautiful. That also means that the user interface is very clean with no overblown menus to over-complicate the features. 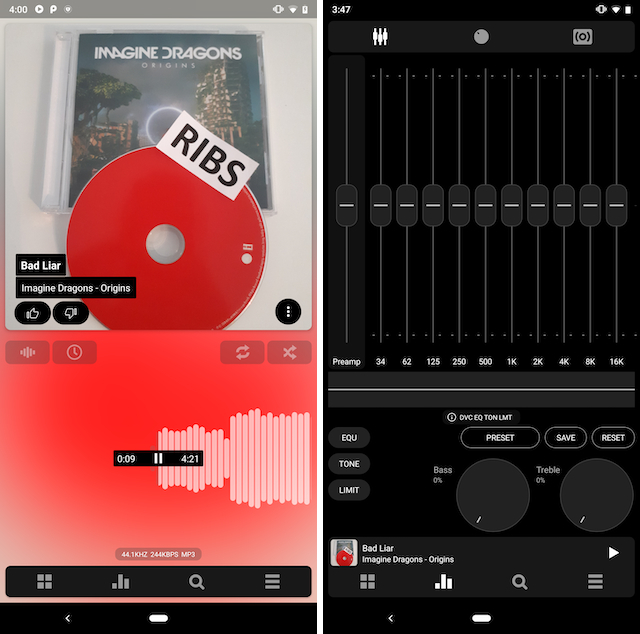 The app also integrates with Last.fm and automatically downloads additional information about songs and artists such as their images or biographies. 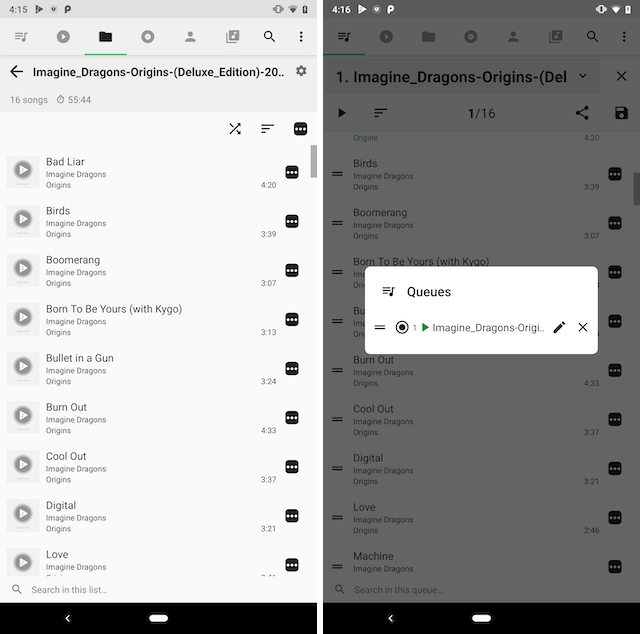 One unique feature of Phonograph that I adore is the upcoming songs list which lets me easily see the next song in a playlist and skip it with just one tap. Apart from these features, Phonograph brings all the usual feasters that you expect from a music player. Features like equalizer, gapless playback, theme engine, playlist support, home screen widget, and more are all here. Overall, this is a very well build-app and the fact that it is totally free makes it even better. Supported File Formats: No info on supported file formats, however, I have tested it with all the usual file formats including mp3, m4a, mp4, and more and it works with all of them. The last music app on our list is the Music Player – MP3 Player which is meant for people who prefer colorful UI. The app supports all the audio formats and has a gorgeous equalizer which is very powerful with added effects including bass effects, reverb, and more. It’s theming engine is powerful and allows you to fully customize the look and feel of the app. Other than that it has all the usual features and you will be happy with it. That said, it does run ads and you will have to unlock the pro-version to get rid of them. Supported File Formats: mp3, midi, wav, flac, aac, ape, and more. My favorite music streaming app is the Amazon Music as it is essentially free if you are an Amazon Prime Member. 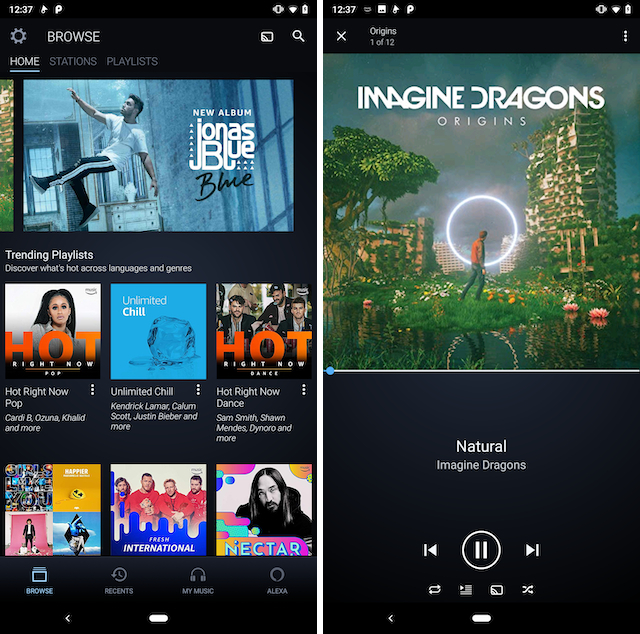 Even if you don’t enjoy other Prime benefits which include Amazon Prime Videos, faster delivery, and steeper discounts, you will find Amazon Music worth the price of Amazon Prime Membership. While the song collection here is smaller than the ones on the likes of Apple Music and Google Play Music, it still has all the popular songs and best for someone who doesn’t want to pay too much for their streaming services. Plus, Amazon Music also lets you download songs to your device and enjoy them in offline mode which is a pretty handy feature. I really enjoy using it on my phone and highly recommend it to anyone who is looking for a affordable music streaming service. 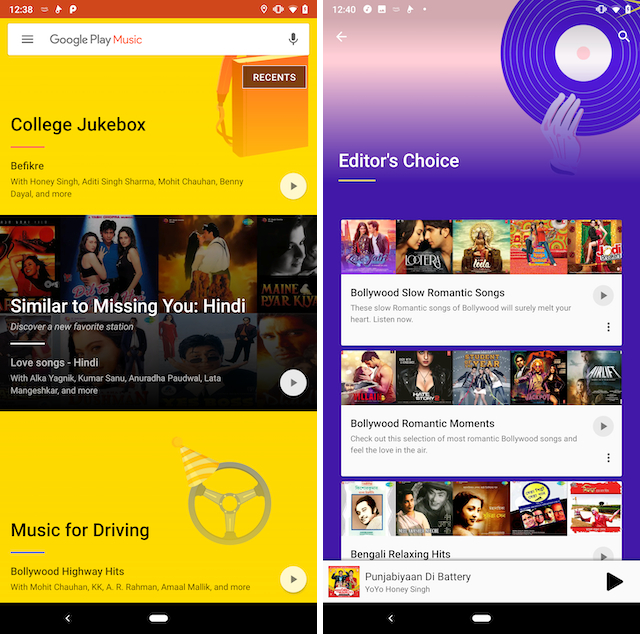 For Android users in India, probably the best music streaming service to use is Google Play Music. I mean, the app already comes pre-installed on your device and the service offers a collection of over 40 million songs from all over the world. The app is free to use with ads, however, if you want the offline music feature, you will have to pay a monthly fee. My favorite thing about Google Play Music is that not only it gives me access to songs but it also allows me to access podcasts and more than 50,000 radio stations around the world. The UI, although a little crowded, is still decent enough, and I have no qualms in recommending this service to you. 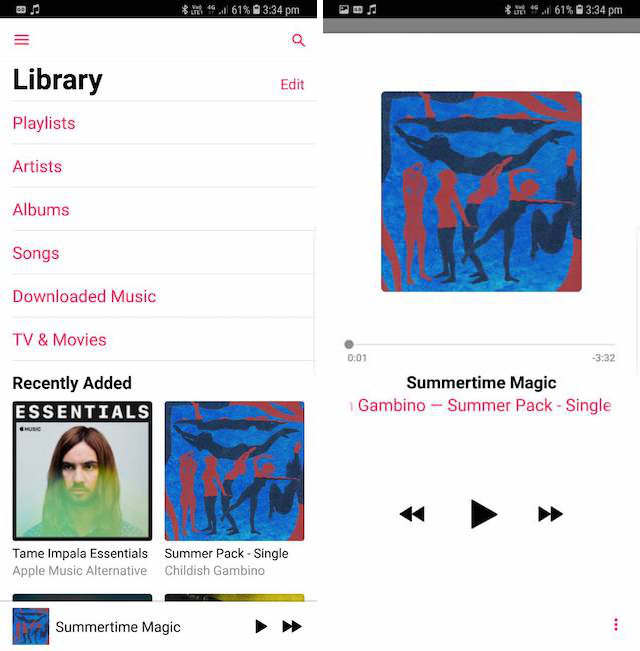 While I don’t recommend Apple Music to any Android user, it is a good option if you own a Mac or an iPhone in addition to your Android device. Apple Music offers one of the largest collection of songs of any music streaming service out there and often offers exclusives which make the service more valuable. The reason I don’t want to recommend it to Android users is that I hate its app’s design on Android. 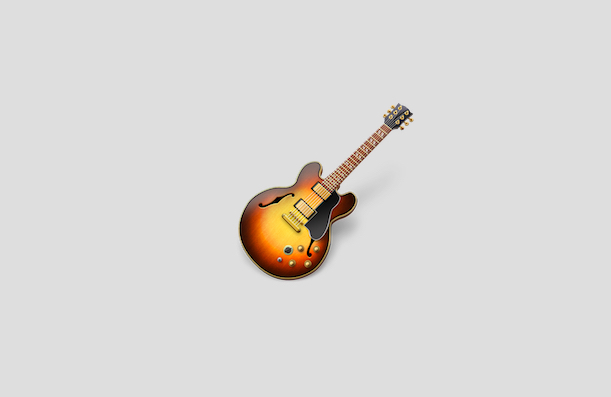 Apart from that, I believe that Apple Music offers more bang for your buck even though it’s a little more costly. As I said, if you are a part of Apple’s ecosystem, you should definitely try it out. That ends our article for the best offline music playing apps you can get for your Android device. I have tried and tested all these apps personally and I hope that you will enjoy using them. Do check the list out and let us know which is your favorite app among them all. Also, if you have any suggestions for us, don’t forget to drop them down in the comments section below.